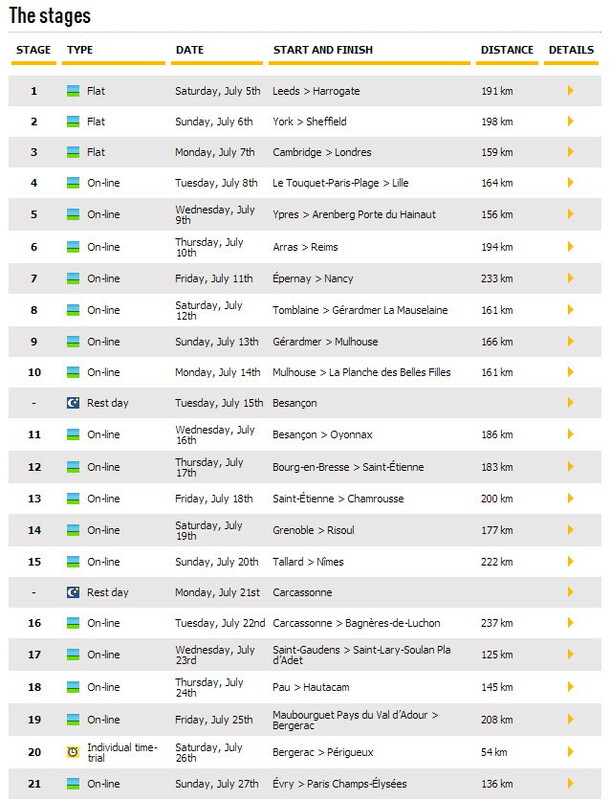 Running from Saturday July 5th to Sunday July 27th 2014, the 101th Tour de France will be made up of 21 stages and will cover a total distance of 3,656 kilometres (before ratification). 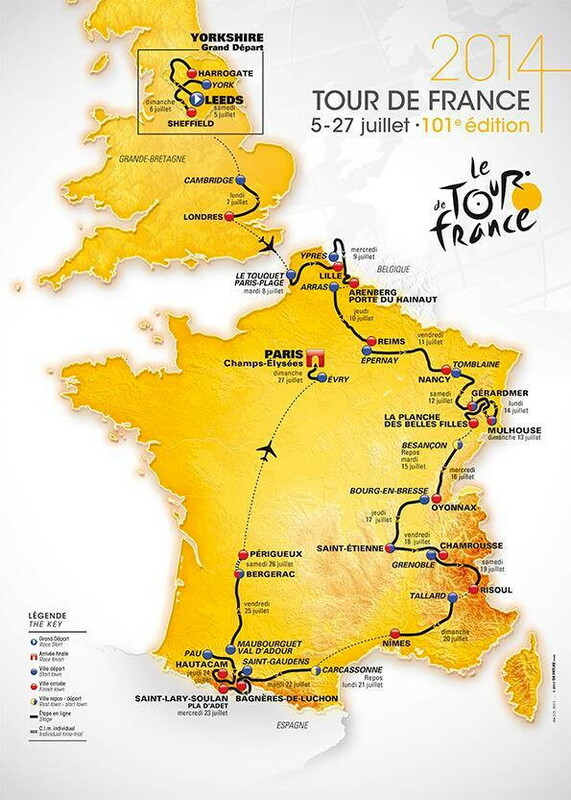 After taking off from the United Kingdom for a 20th Grand Départ abroad, the Tour de France will also go through Belgium and Spain. Before crossing the finishing line of the fifth stage in Arenberg Porte du Hainaut, the riders will have covered 15.4 kilometres of cobbled-stone sectors that are on the course of the Queen of Classics every spring. Stage 16 Tuesday 22nd July. Carcassone-Luchon. No Wiggins in Tour de France 2014.